Voicing SATB, cantor, organ, opt. cong. and worship at your holy mountain? and never do evil to their friends. but who honor the followers of God. these faithful will stand fast forever. 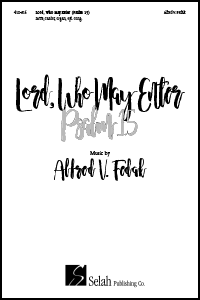 © 2018 Selah Publishing Co., Inc.